An MBA candidate at USF wrote a very thoughtful and insightful post on Linkedin. My comments below are in response to this post. I believe Lucas has correctly identified a problem with a lot of MBA programs. The goal is to change these trends. 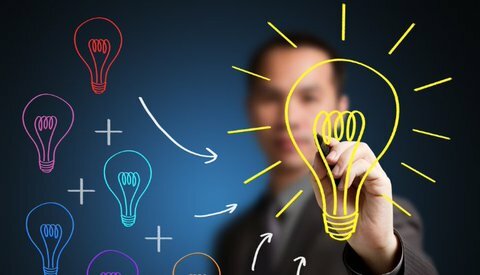 I do agree that many MBAs that I have worked with in the past forget about the importance of innovation, however, a lot of business people, engineers, and even marketing professionals forget that creativity in business is important as well. Maybe it is because of incentives offered by companies or maybe it is based on training. Why is the process working this way? This question is especially important to ask when you are first on a job. Why is the product important to the customer? How can it be better? What industry needs to be disrupted and what are the ways it can be disrupted? Are there ways sustainability can disrupt the current industry and create entirely new business models (peer to peer, paper to digital, or even computer to mobile)? What business am I really in and what can I do to change things in my business and the industry? The cool thing is that MBAs are positioned to ask the right questions because they are looking at all aspects of the business: market trends, marketing, finance, operations, etc. They are also geared towards execution and making sure that great ideas happen. Combining this ability to execute with creativity is a powerful combination and something that startups need. Once MBAs start to answer these questions, the lack of creativity in MBAs will flee. I believe the ideas MBAs bring up in the classroom are highly innovative (even beyond what I have heard from so called creative circles)…and hope to see the current crop of creative MBAs break the trend or the norm that was correctly identified by Lucas in the above post. Watch out world…a new era of creative MBAs are about to disrupt the industry. Payson is currently an Adjunct Professor in the School of Management at the University of San Francisco. He is also the CEO & Co-Founder of Ai (Agora Intelligence, Inc.) a mobile first company focusing on the need to Promote Goodness for Sellers, Buyers, and the Community through transforming the marketplace.